As Chief Technology Officer for Enterprise Integration, Tracey matches emerging and proven technologies to the needs and alignment of clients’ business direction. He has a wealth of experience in global information system strategies and enterprise technology architecture. His expertise spans a broad segment of both common infrastructure and systems and advanced emerging technologies. Over the past 20 years, Tracey has developed best-in-breed, proactive solutions for clients to ensure high availability, redundancy, continuity and survivability. He has led consultants and consultative teams, providing guidance to executive decision makers through the development of methodologies and tactics for technology early adoption. Tracey created and leads EI’s Office of Innovation in championing, funding and implementing development solutions for market differentiation to increase customer efficiency and ensure operational continuity. Tracey has extensive experience providing technical business solutions to Fortune 500 firms for WAN optimization, wireless design, directory design, messaging infrastructure, Security, WAN/LAN and mobile applications. He has managed teams of high-level resources in geographically disperse locations for global technical project implementations using Microsoft Solutions Framework and modified PMI methodologies. He has thorough knowledge and experience with many mainstream products with particular skill in largescale WAN optimization design and mobility application infrastructure. Tracey is certified with Microsoft, Qualcomm Mobility and Novell products and has achieved Novell Master certification (MCNE) in infrastructure design and advanced access. 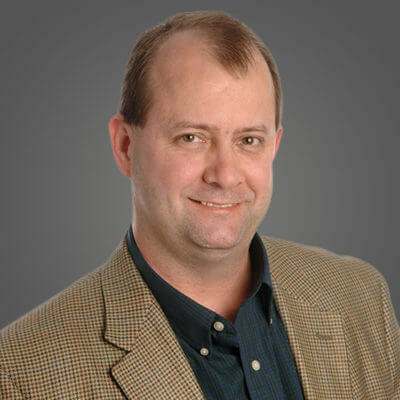 He has achieved a variety of other top industry certifications, and his experience includes an advanced understanding of TCPIP and routing protocols with training and large deployments of Cisco LAN /WAN devices.